One of the great German composers. He drew from the Classical period in respect of form but allowed a full flowering of Romantic spirit to reveal the expressive nature of his music which is rich in colour and texture. He ranks alongside Beethoven as a master of the Symphony, a form he did not rush into-he was in his forties before the first four appeared. His friendship with the violinist Joachim led to his Violin Concerto, one of the most expressive in the repertoire. The German Requiem is his only major choral work but he also wrote several hundred songs and arrangements. The Variations on the St Antony Chorale and the Hungarian Dances are amongst his more popularly known works. Though he was close to Schumann's widow, Clara, he never married. You can view Presto's hand-picked selection of favourite Brahms orchestral and choral recordings here. The conductor talks to Katherine about his final recording as Principal Conductor of the Scottish Chamber Orchestra, out this Friday on Linn Records. 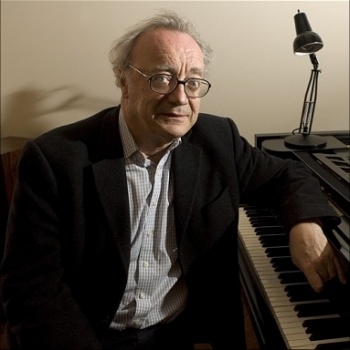 Live recordings by Alfred Brendel of Schumann's Piano Concerto and Brahms's Handel Variations have been made available on disc for the first time.